SharpLight’s state-of-the-art med-aesthetic systems are helping the many seeking smoother skin reduce the appearance of cellulite, which affects approximately 1 in 3 people. Through Radio Frequency (RF)* and Selective Electro Heating technologies, SharpLight’s treatments combat this common skin condition, consisting of fat deposits under the skin’s surface that cause a dimpled appearance, most often in the thigh and buttock area, as well as the arms and abdomen. These advanced technologies tighten skin and reduce cellulite by increasing the temperature of the fat cells in a specified area, which promotes the liberation and destruction of fat cells (lypolitic effect) and stimulates the increased production of collagen in the dermis, restoring the skins elasticity. Bipolar Radio Frequency* increases local blood and lymphatic circulation and promotes the breakdown of fibrous tissue and the drainage of localized fatty deposits and cellulite cells. This sort of selective heating of fat cells in the dermis and subcutaneous fat layer is effective in cellulite reduction. These treatments, which produce tighter, smoother, stronger skin, are safe, non-invasive and require no downtime from the patient. 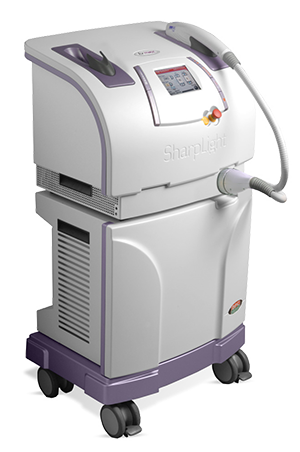 SharpLight’s technologies are flexible, offering varying settings to best treat the varying grades of cellulite and other personal patient needs. 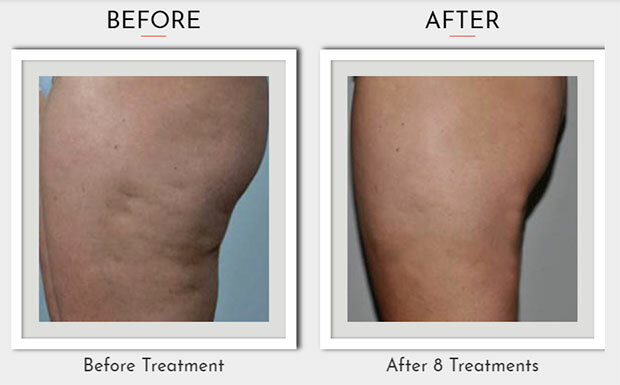 Our cellulite reduction treatments are suitable for patients of all skin types, body types and grades of cellulite, and deliver excellent long-lasting results.